Borealis and Borouge, leading providers of innovative, value-creating polyolefin solutions for the global wire and cable industry, announce the inauguration on 21 March 2018 of the newly expanded high voltage (HV) electrical testing facilities at the Borealis Innovation Centre in Stenungsund, Sweden. EUR four million have been invested in order to expand and equip the facility with cutting-edge testing equipment, which is unique among polymer producers. The facility enables Borealis and Borouge to continue their position as industry innovation leaders in the most demanding segments of wire and cable. It also opens up new opportunities for collaboration with customers and value chain partners. The wire and cable laboratories in Stenungsund have been important development centres for cable insulation products since 1970, when the first Cross-linked polyethylene (XLPE) cable insulation products were produced at the Stenungsund plant. The scope of testing activities has been expanding steadily over decades, starting with testing on electrical cables and cable extrusion lines in 1986. In 2009, a new three-layer Continous Vulcanisation (CV) extrusion line was installed. The completion of this most recent two-year investment project in electrical testing now significantly expands the range of testing activities. performance of commercial cable materials in the medium (MV), high (HV), and extra high voltage (EHV) ranges. When developing innovative new materials, testing is crucial to help ensure material safety and promote quality assurance. Within the framework of customer and value-chain cooperation, the HV testing centre can also open up an entire spectrum of new project types, and can accelerate the time to market for new innovations. Increased demand for electricity, growing urbanisation, the efficient supply of energy from renewable sources, and the interconnectivity of power grids are just a few of the trends driving the wire and cable industry. To meet and even anticipate these trends, Borealis and Borouge continue to invest in research and development and testing to deliver step-change solutions based on proprietary technologies. Collaboration with customers and value chain partners takes place for the mutual advancement of electrical competence, but has also been a key factor in providing improved material solutions that support the global energy industry in their efforts to implement more sustainable technologies. For one, transmission technology must ensure the efficient connection of remote, clean energy sources to the grid. Here, Borealis has built on its years of operational experience in extruded HVDC materials and its proprietary Borlink™ technology to set ever higher standards in proven system performance, setting a new world record of 640 kilovolt (kV) for extruded HVDC cable technology in 2017. 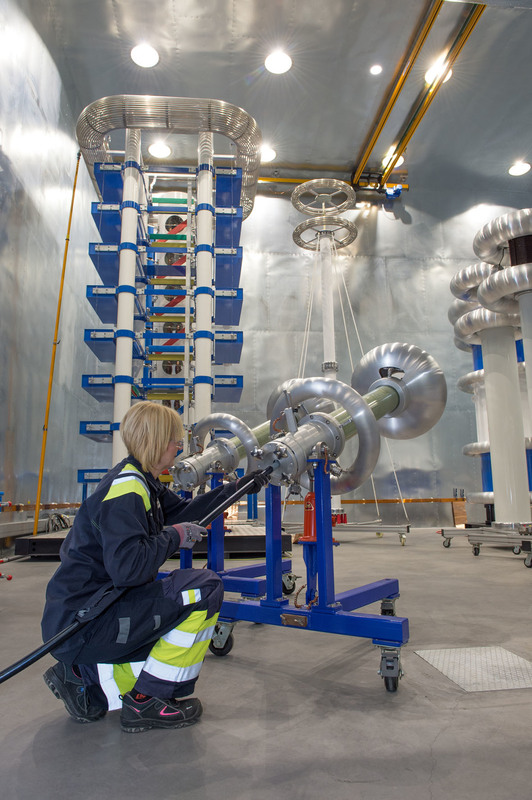 The tailor-made Borlink compounds used for these cables are produced in Stenungsund. To learn more about the exciting work taking place at the newly expanded Stenungsund HV testing centre, and other Borealis and Borouge Innovation Centres, visit us at Stand D72 in hall 10 at the 2018 WIRE Düsseldorf, Germany taking place from 16-20 April 2018.